New construction located by Washington&apos;s soon to be newest subdivision East View. 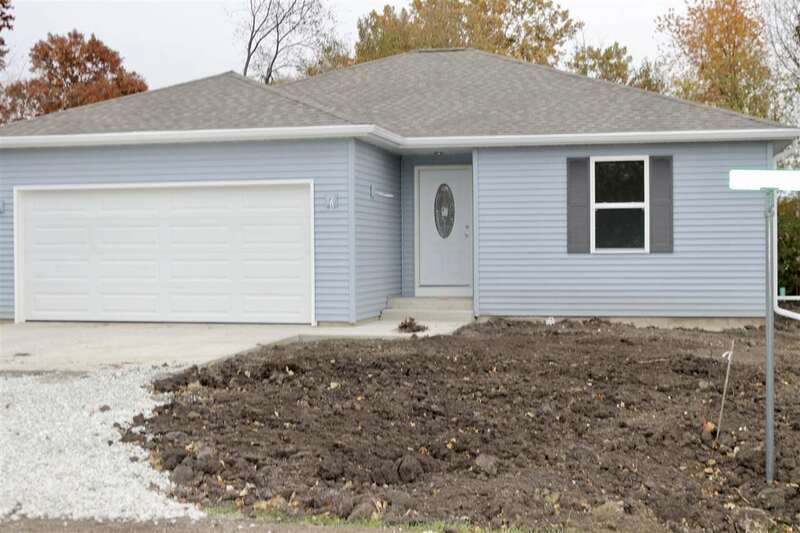 This home offers 2 bedrooms, 2 bathrooms w/an open floor plan. Brand new, Vogel built. All appliances included. Energy efficient with a heat pump and LED lighting. Master bedroom suite on main level. Custom maple cabinetry and high resolution formica countertops. Laminate plank flooring on main floor w/carpet in bedrooms. Two car attached garage. Convenient east location with private backyard. Don&apos;t let this opportunity pass.